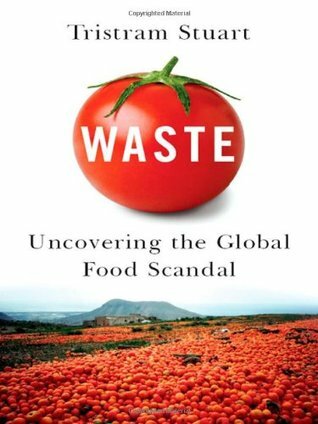 This sobering insight into just how much food is wasted across the world is a must read for anyone who wants to do their bit to reduce food waste. The book is slightly out of date (2009) but many of the issues are still as urgent as when it was written. It details how much food is wasted through the whole cycle from growing food through distributing it to retailers, the unsold food that is discarded by retailers and the food that is wasted by consumers. It also demonstrates how this waste puts pressure on rainforests and other valuable natural landscapes, and the impact on climate change. * if the amount of avoidable potato waste was halved in UK households it could potentially free up enough land to grow enough food to lift 1.2 million people out of hunger. * some dolphin-friendly methods of fishing for tuna are actually responsible for killing large numbers of sharks and other sea creatures. The book isn’t all doom and gloom though, it explores solutions such as fishing equipment that is designed to avoid bycatch, restaurants that offer incentives to customers to finish all their food, food sharing initiatives and ways on which supermarkets can fine tune their stocking rate. In addition the author explores some of the evolutionary drivers behind our obsession with agricultural and other forms of surplus. There is also a theological element to the book too, as it includes biblical quotes on the topic and looks at the Biblical attitudes to gleaning (or foraging among crops to make sure there is no waste). It offers case studies of companies that are very efficient at reducing food waste, including one that sends its waste to a factory that makes high quality feedstock that the company then buys back for its own livestock. The book also explores differing attitudes to food waste across the world, focussing on Japan as being traditionally very efficient in avoiding waste. You won’t look at your food again after reading this book! Waste by Tristram Stuart, published by Penguin (2009) and printed on 100% recycled paper madefrom post consumer waste. This book is available to borrow from the Granton Goes Greener office in Granton Parish Church.